This is the time of the year where restaurants are pushing out their festive menus. 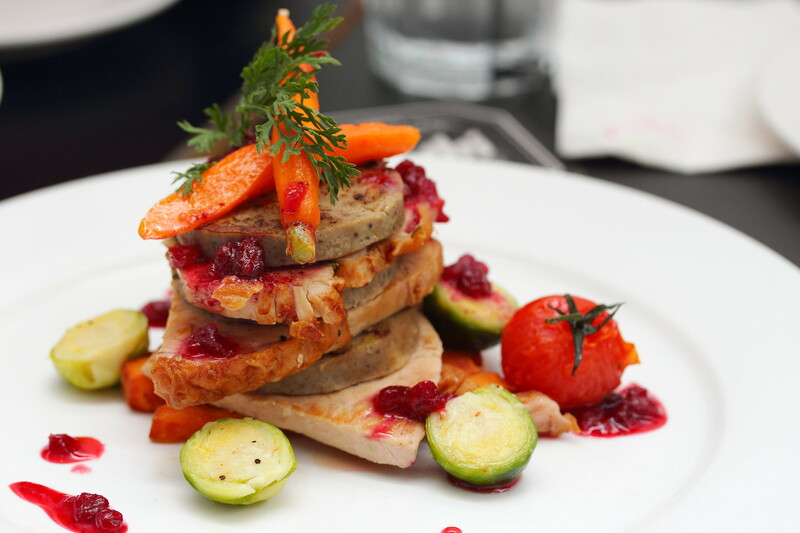 After my recent visit to Spruce at Phoenix Park, I am back to Spruce but at their Upper Bukit Timah Fire station outlet to try their Festive Set Menu ($38++) available from 1 to 30 December 2014 except 24, 25 and 31 December 2014. 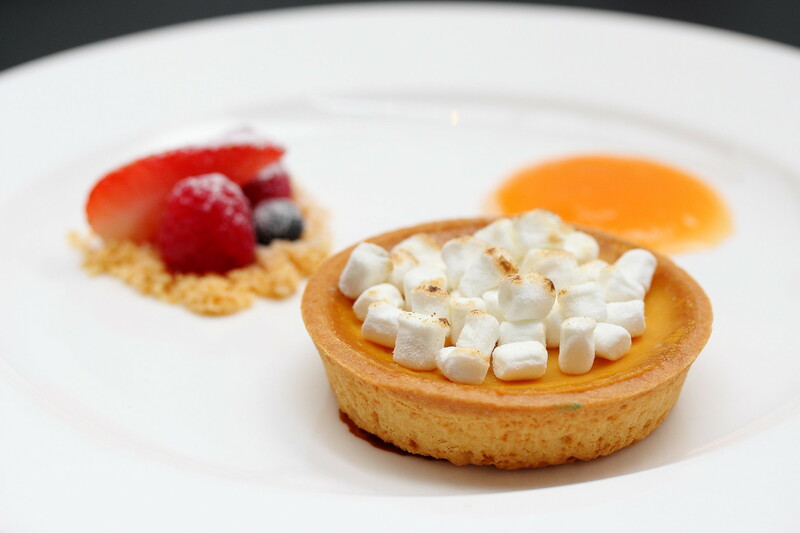 OCBC cardmembers will enjoy a 10% discount for the Festive 3 course menu which comes with a Salad, choice of main and a dessert. Starting the 3 course Festive Menu was the Roasted Beetroot & Chevre Salad. 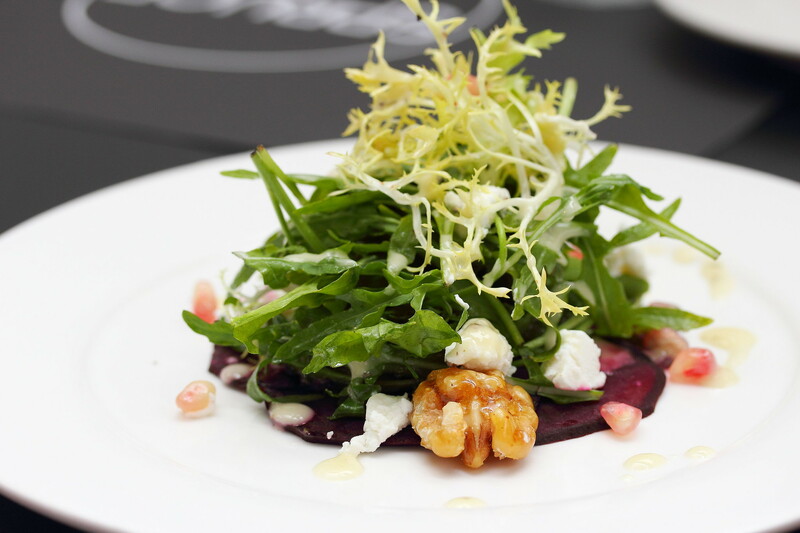 It consists of a bed of roasted beetroot, candied walnuts, arugula and white balsamic dressing. I like the roasted beetroot which still comes with a nice crunch on top of its earthy sweetness. 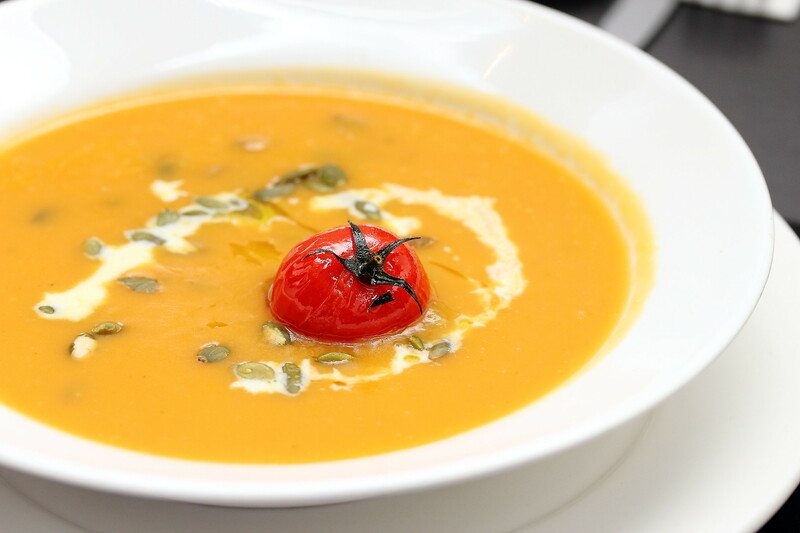 For an additional $10, you can add the Split Pea and Sweet Potato Soup to make it a 4 course meal. It was a comforting and hearty soup especially for the rainy period. If you are in the mood for some champagne, spruce offers the Pierre Paillard Cru Brut Chapagne for an additional of $45 for 375ml or $85 for 750ml. 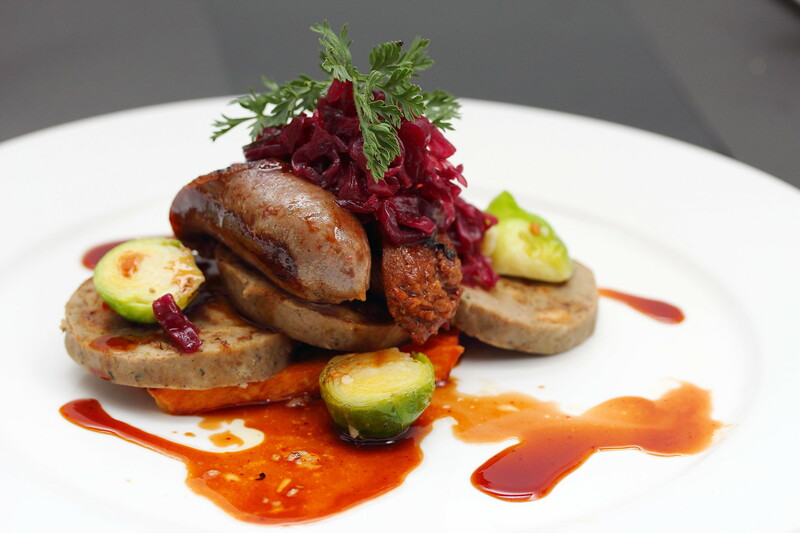 The mains come with a choice of either the Smoked Lamb Bockwurst with Chestnut Stuffing or Roasted Turkey with Chestnut Stuffing. I really like the plating, the dish has the Christmas feel in its presentation. Among the two mains, I would prefer the turkey. I enjoyed how the sweetness of the cranberry sauce complemented the turkey meat. Drawing the curtain to the 3 course festive set menu is the Pumpkin Pie. While I enjoyed the buttery crust, I thought the pumpkin flavour was lacking. I could barely tasted any pumpkin. It probably has been masked off by the sweetness of the marshmallow. 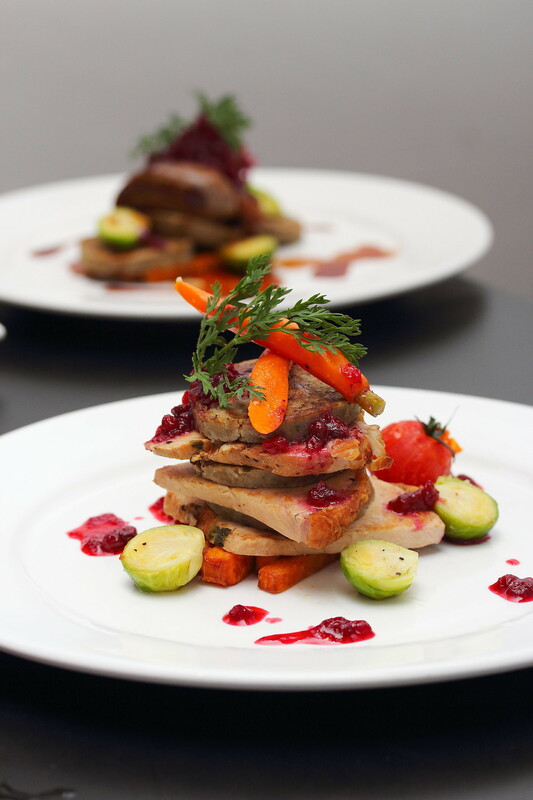 Besides the festive menu, Spruce at Fire Station offers a lot of yummlicious dishes on the a la carte menu. One such dish is the Ahi Tuna Tartar ($22) that my friend highly recommended. 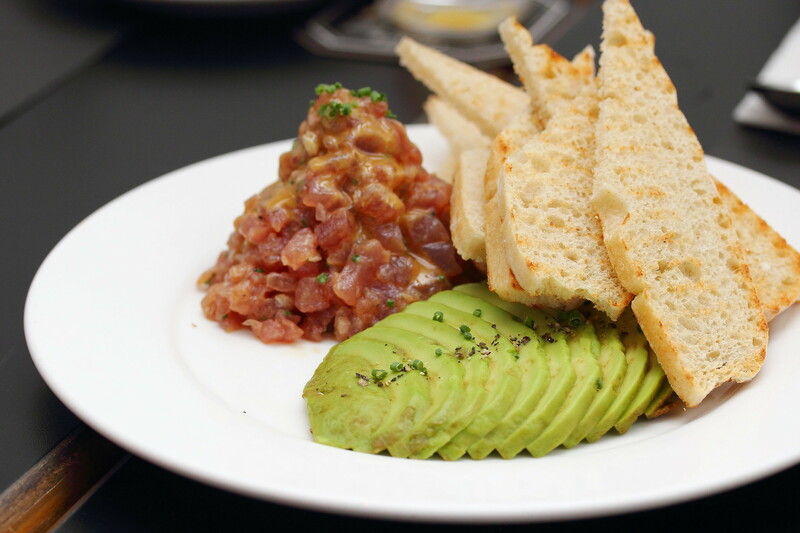 120 grams of sashimi grade raw tuna mixed with a special vinaigrette and served with a sliced avocado and toasted ciabatta bread. One word, awesome. You just need to have it. 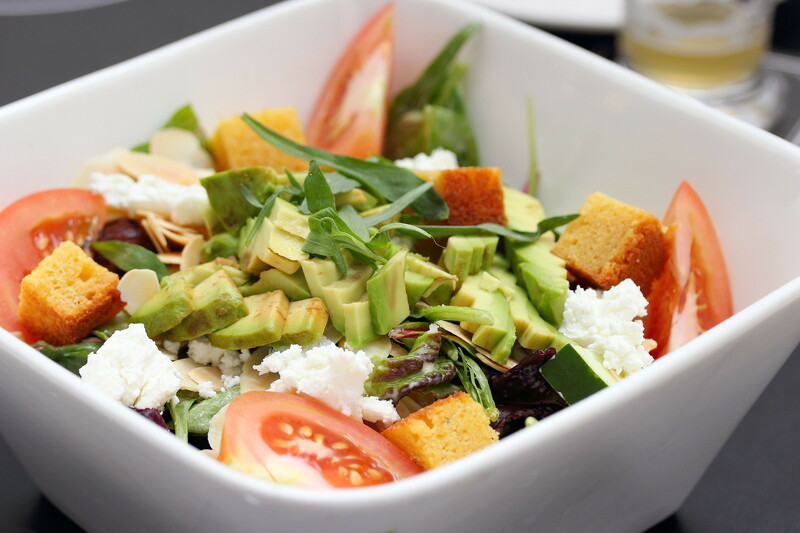 For a healthy and clean diet, Spruce's Signature Salad ($19) is pretty substantial with fresh corn, dates, almonds, Momotaro tomato, cucumber, avocado mixed green and chevre cheese. I like the choice of the champagne vinaigrette dressing which is not too heavy complementing the nature flavours of the salad. I actually find the use of dates in the salad rather interesting as you don't often get it elsewhere. Over at Spruce @ Phoenix Park, I tried their pasta dishes so this time round I had the burgers instead. First up is the Spruce Burger ($18) which comes with a 160 grams freshly grounded Australian beef chunk sandwiched in between the black and white sesame bun that is made freshly daily. 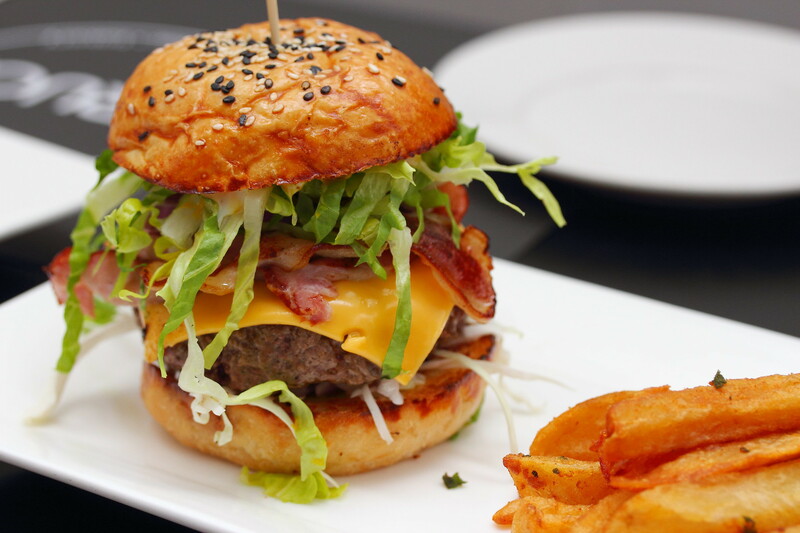 The burger is also topped with havarti cheese, bacons, lettuces etc. The beef patty itself was juicy and moist. However I felt something was missing in the burger, probably that feeling of guilt and messiness when you bite into one. I like my burger to be very big in flavour but this was more refined. 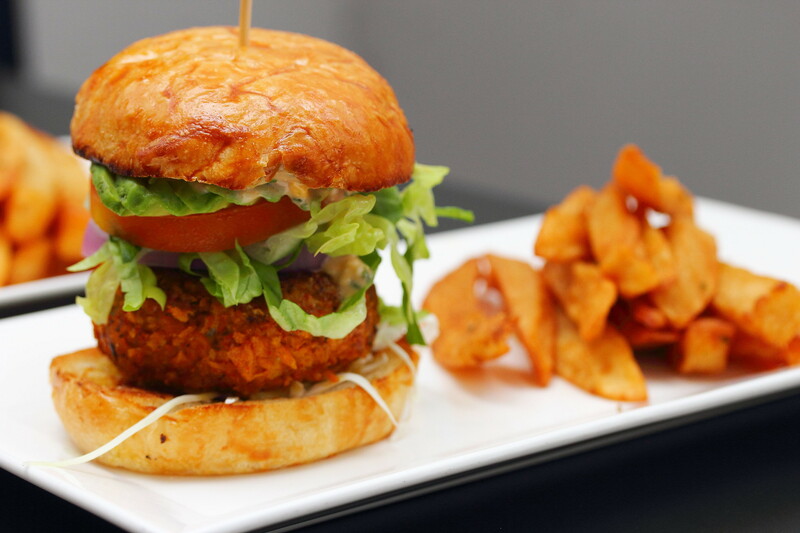 The Tuna Burger ($24) is one item on the menu that caught my eye when I first visited Spruce. I tried the cod fish burger from market grill before and it was awesome. I was hoping the tuna burger will be something similar. Unfortunately, I felt a bit disappointed when it was served as a patty instead of a whole tuna fillet. I was a decent burger but it was not memorable. The star ingredient, tuna was hardly noticeable in the execution. Don't be mislead by all the different colourful neon lights at Spruce Fire Station. 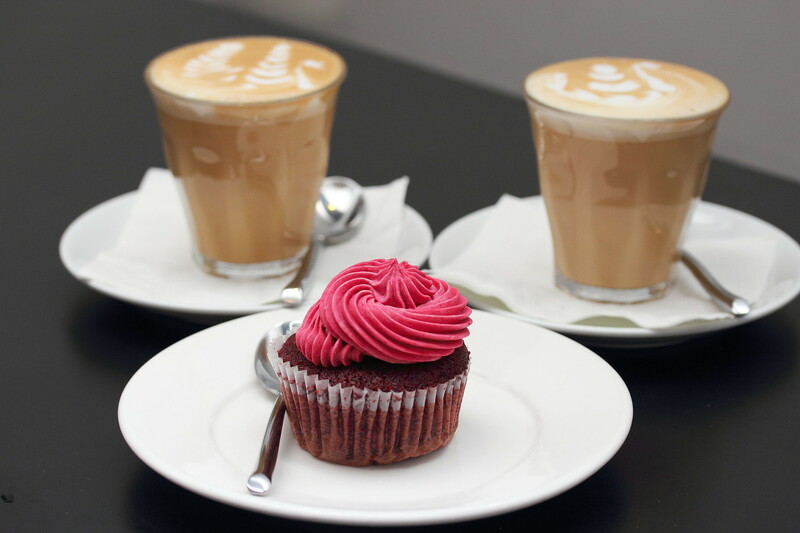 This is not just a drinking place, it actually serves a cup of good coffee. The beans are sourced from Naples in Italy. We also tried the Red Velvet Cupcake which gets the approval from around the table. It was nicely balanced, not overly sweet and moist. 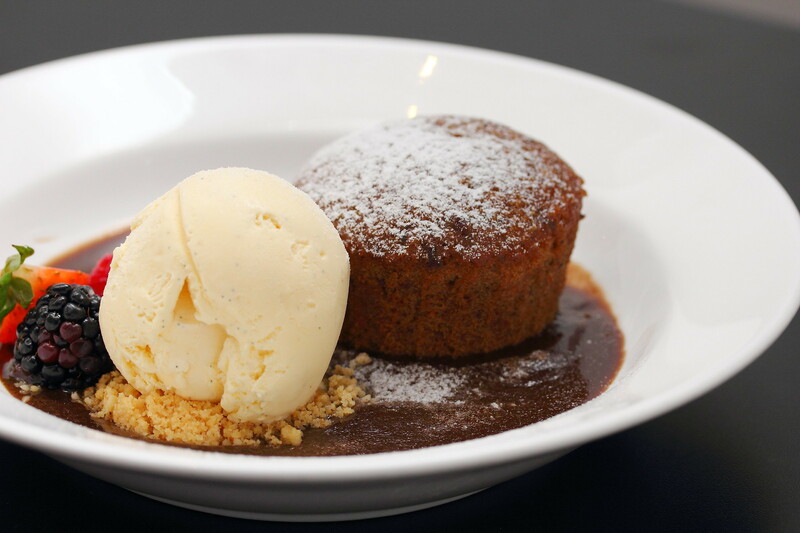 I have tried the Baked Ginger Date Pudding ($15) before and I still enjoy it. Warm, moist and comes with hints of ginger flavour. This is heavenly paired with a scoop of vanilla ice cream and chocolate sauce. 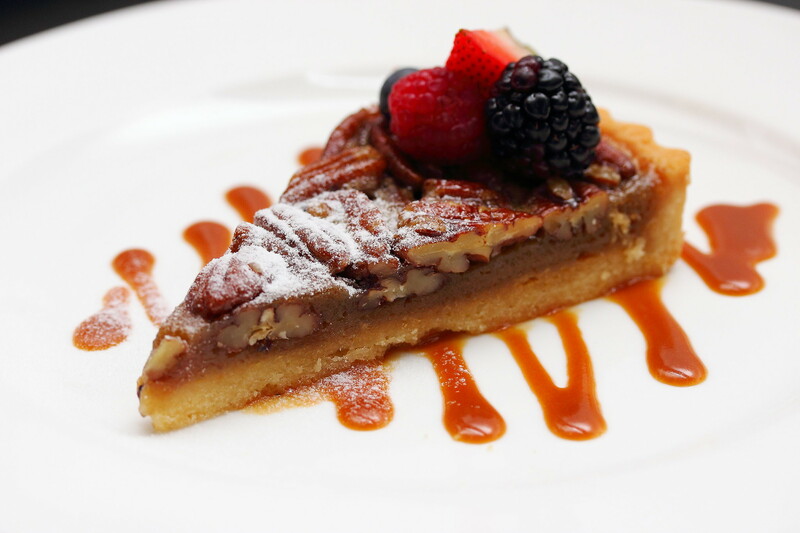 If you like something nutty and sweet, the Pecan Pie would be a good choice too. Having visit both Spruce's outlet, I have to say I have enjoyed both my experience. For those that drives, parking is free. Spruce Fire Station also screens live soccer matches, hence it is a good place to hang out with friends for a drink and catch a match too. Of course not to be missed is the festive promotional menu at $38++ and OCBC cardmembers get another 10% discount.